The project involved the initial demolition of an existing Storage out- building and disconnection of existing services. 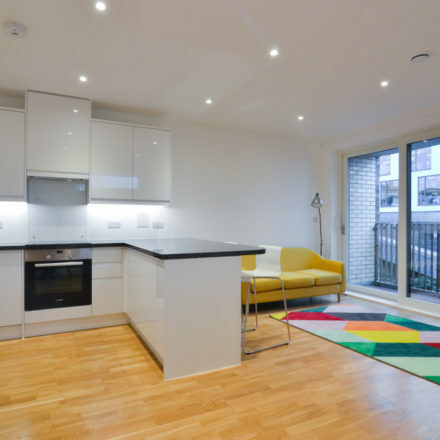 The new build construction was the formation of a 21 one-bedroom and one two-bedroom affordable flats with pedestrian access to both St. John’s Terrace and Ladbroke Grove. The flats were divided into two blocks with the main block fronting onto the canal and a small block to the rear. 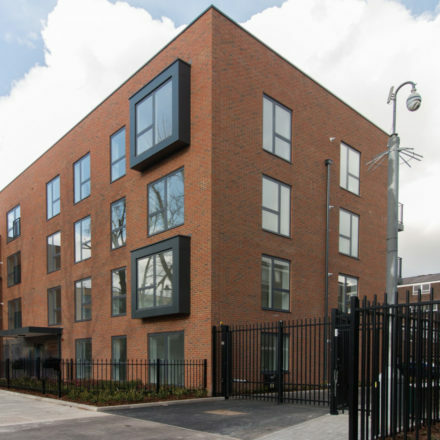 The design of the building incorporated a communal courtyard which separates the two blocks, the careful construction of the building in close proximity to the canal made this project logically challenging. 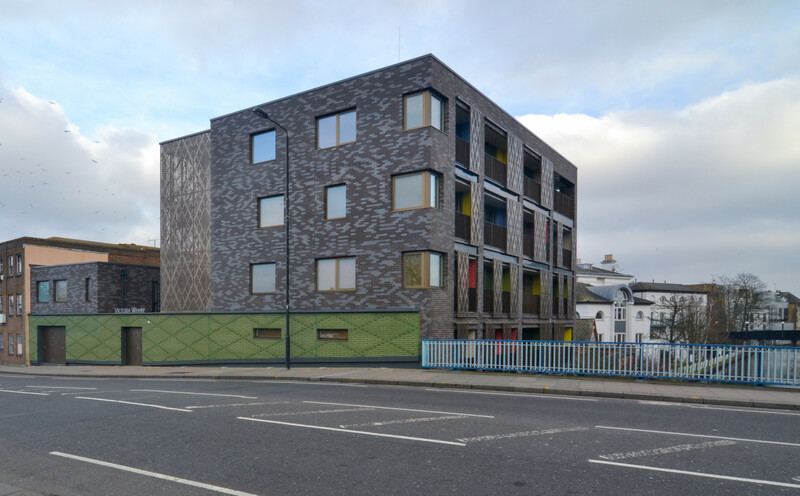 Logistics – the site was situated at the end of a close between the Grand Union Canal, Ladbroke Grove bridge, existing residential flats and a builder’s yard which was in constant use by builders vans. There was very little room on site, with only a small courtyard between the two blocks as most of the site footprint was taken up with the new blocks we were building. Complex design - Lots of different details including anodised cladding, five different colour glazed bricks, cantilevered external walkways. Due to location of site on the border of two boroughs, Westminster and Kensington & Chelsea, and on the canal, we had to deal with various bodies for approval. The installation of a cantilevered scaffold over the canal, gaining all necessary permissions from the Canal and Riverside Trust. Installed a cantilevered goods hoist that could lift materials from the road and into the building by tracking back and forth along a cantilevered beam. Allocated space at the front of site for rubbish to be collected by wait and load skip to ensure waste did not build up on site. 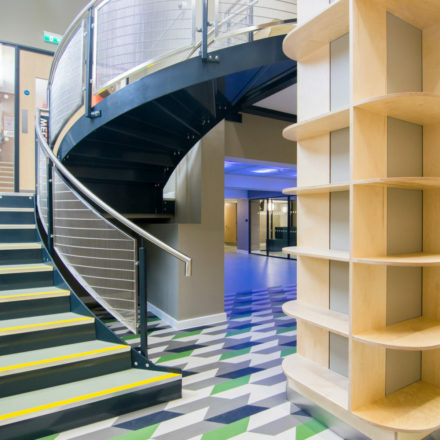 Project was finished to a high standard and the client was extremely please with the finished building. 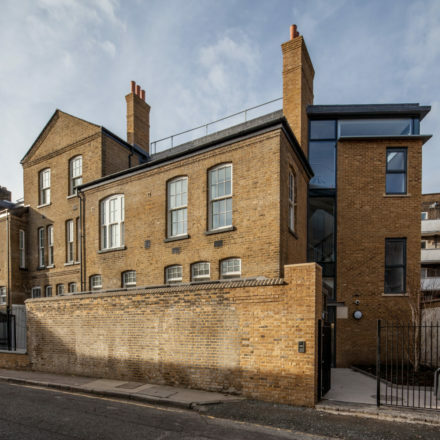 The building has was shortlisted at the 2018 Building Awards for best small project of the year up to £5m. 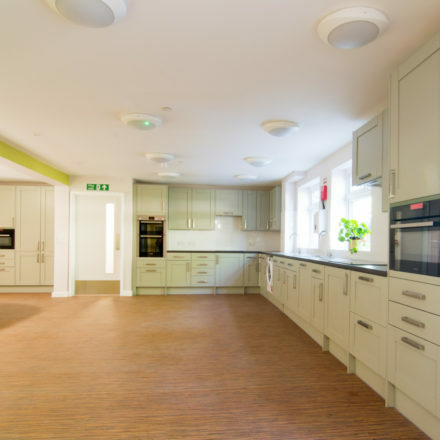 This project with St Mungo’s was a design and build project with part demolition. 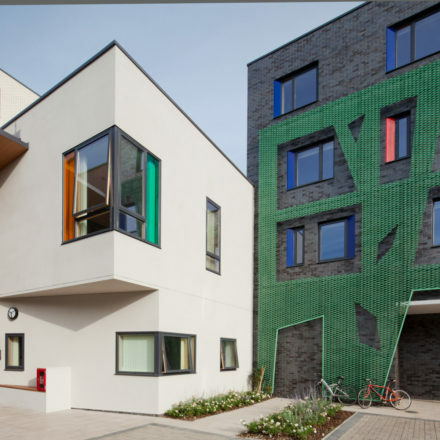 At Quinn London we’re proud to have a long-term relationship with St Mungo’s Housing Association.